Better. Every Fire Protection System. Cummins has been delivering standards of quality and innovation in its fire pump drive engines for 25 years, and we like to continue to surprise our customers. By making our focus on dependability, power, and ease, we ensure our industry-leading products find solutions for every need. Through improved training and quality, we continually update our models until they meet our ever-rising standards of performance. Many of our fire pump drive engines are Underwriters Laboratories (UL)-listed and Factory Mutual (FM)-approved (consult the Specification Sheet or contact the factory for more details). 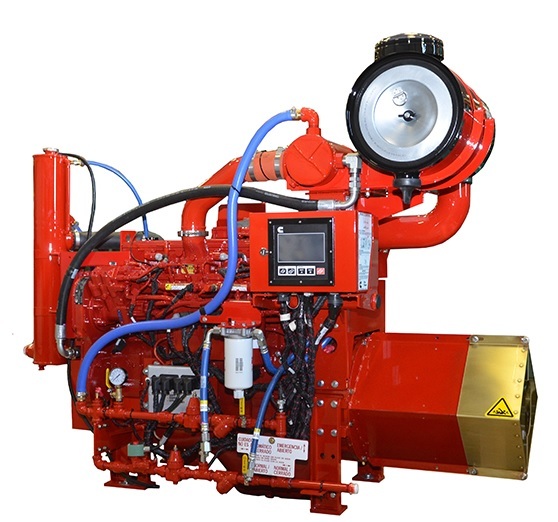 All Cummins fire pump drive engines have been manufactured under the controls established by a Bureau Veritas Certification approved management system that conforms with ISO 9001:2015. Our worldwide presence and comprehensive support make Cummins a proven, committed partner you can depend on every day from installation to overhaul. A network of more than 6,500 distributor and dealer locations in over 190 countries are trained and dedicated to providing immediate parts and service availability and the best warranty in the business. To learn more about Cummins fire pump drive engines, contact a local Cummins DKSH Sales and Service representative or visit our engine specification library by clicking the button below.